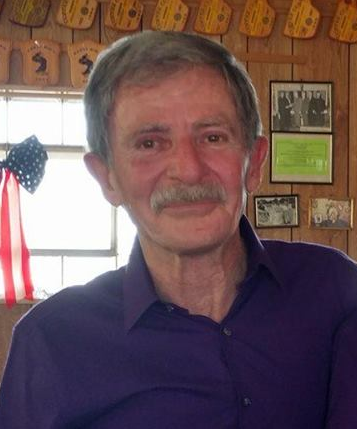 Larry Dean Amend, 69, of Sterling, Kansas, passed away April 1, 2019 at Hospital District #1 of Rice County, Lyons, Kansas. He was born June 2, 1949 in Sterling, the son of Bruce and Laura Proffitt Amend. He graduated from Sterling High School with the class of 1967. Larry grew up in Sterling, spent several years in Kansas City, MO, before moving back to Sterling in 1990 to care for his parents. He worked for American Can Company, and as a processor for IBM, both of Kansas City, MO. Larry worked at the Sterling Cafe for 12 years after moving to Sterling. He and Erick then started a landscaping and lawn care business. Three years later, he retired. He was a volunteer for Sterling Services food drive; volunteer at YMCA of Kansas City; and a volunteer for the Sterling Goodfellows. On October 15, 1967, Larry was united in marriage with Raemona Y. Howard in Sterling. They later divorced. On November 21, 2015, Larry was united in marriage with Erick Richards, his partner of 27 years, in Sterling. He survives of the home. He is also survived by his son, Chris Nelson of El Dorado, KS; brother, Bill Amend and wife Virginia of El Dorado, KS, sisters-in-laws, Janet Amend of Lyons, and Lola Amend of Hutchinson; sister, Connie Green of Sterling; numerous nieces and nephews; and two great nephews. He is preceded in death by his parents; and four brothers, Pete, Bob, Don and Rex Amend. Funeral service will be 10:00 A.M., Saturday, April 6, 2019 at Birzer Funeral Home, Sterling. In Lieu of flowers, memorials may be given to American Heart and Lung Association, in care of Birzer Funeral Home, Sterling.